And those freebies that I shared a sneak peek of just a day or two ago? Yeah, well, Shari Carroll had a bit of inspiration to use them in the most fabulous of ways! Shari, what a beautiful card! 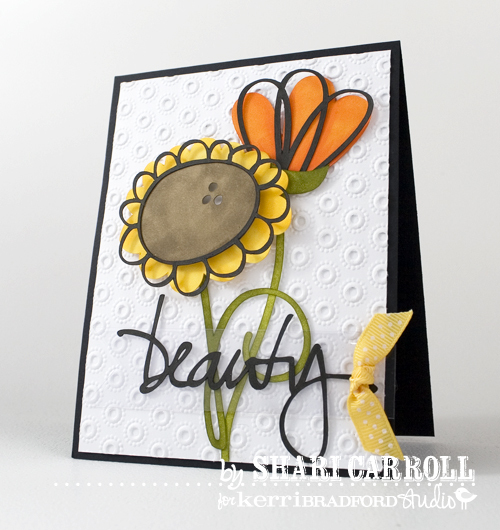 Kerri – thanks for the freebies! Awesome! I love how the foreground and background are not lined up and each layer is at a different height! The colors are wonderful, too! Great job, Shari and Kerri!!! Like the first 2 classes, this Design Class is terrific. Although I’ve been using Designer Edition for about 5 months, you always provide me with info that I didn’t know. 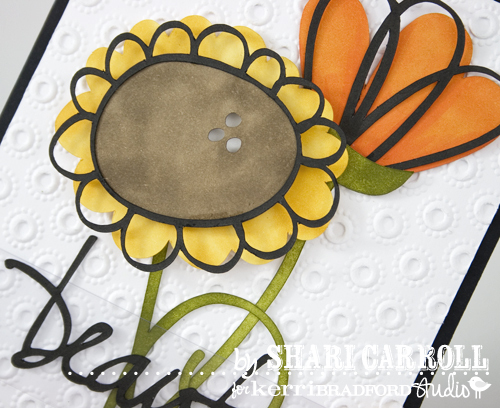 Thanks to Shari for showing us another way to use our freebies–so neat! This is stunning!A beauty indeed. So bright and cheerful too.